Too young for dilemmas and million dollar questions, just shoot! Singapore filmmaker Liao Jiekai left me with a quote at the 13 Little Pictures talk. ‘Creativity starts when you turn your back to your audience.’ – taken from Taiwanese writer Zhu Tianwen. That quote spoke to me because I was going through a writer’s block, finding it difficult to see beyond the customary when I pick up the pen or the camera. Should Mary Tan finally find her true love and end the story with song and dance or should she realize that her love was in fact a transgender man whom she connected with more than anyone else? Neither is right or wrong. It’s a question many filmmakers must ask themselves every now and then. But a million dollar question because it decides whether your film gets screened at one or ten cinema screens. Indeed, it is a tough question. 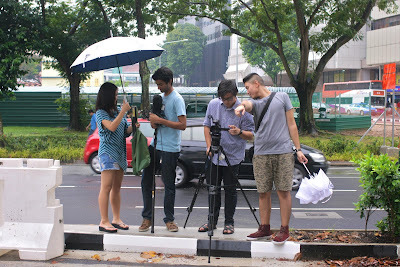 In fact, Singapore films are at an interesting crossroads. There isn’t exactly a current ‘style’ at the moment. It is partly driven by who is the scene, who is coming in and going out. Today, new batches of film students are graduating each year adding to the expanse of local filmography. Award-wining short filmmakers are giving their best shot at their first feature films. TV actors, sick of being directed, are taking on the director’s chair themselves. Google Li Nanxing and Michelle Chong. Finally, Seasoned filmmakers like Royston Tan and Sun Koh are taking time out to find new voices within themselves. Different backgrounds aside, it can be observed that many of the newer filmmakers seem united in one characteristic – they know the business better than the art and they really know to throw a mean red carpet gala. Not that their films are bad, it’s just driving the film machine on a different engine, and a machine, it really is. This also means that the Singapore policymakers have succeeded in nurturing ‘film-preneurs’ – filmmakers who will know how to give their investors the bang for the bucks. Even student films now have trailers and opening titles that speak louder than the films themselves. But while the brass of show-business gets louder, the voice of artistic honesty becomes softer. Filmmakers who are sticking to their guns and making our minds work harder as an audience will feel the pressure when a peer makes one that gets the media talking and the general populace queuing. What’s happened to the voice of independent filmmaking? For sure, it has not died. It is still alive in pockets. The better question is - will we see it regain its voice in a big way? With money doing the talking, will we ever see a Singapore New Wave like the Taiwanese, and even Malaysian? For inspiration, I look three years back. 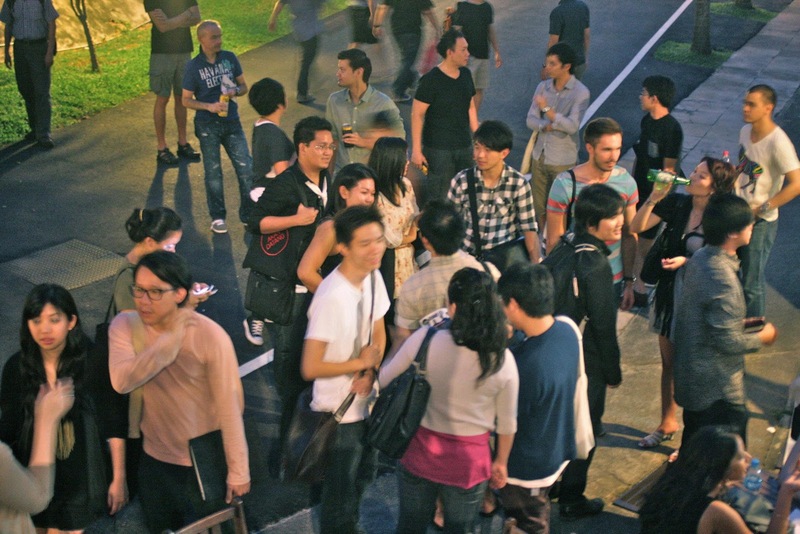 The year 2008 could be described as a golden year for Singapore films by the burst of films that were strident in the way they redefined the collective persona of the Singapore film. Lucky Seven pulled seven of the brightest minds in local films together in a sort of organized rebellion to deconstruct traditional narratives. Some of the them of gone on to make award-winning features like Boo Junfeng and Ho Tzu Nyen. A dozen new directors bravely stepped up to the game giving us films like Kallang Roar, Mad about English and the unforgettable 18 Grams of Love. Each film was a honest and conscientious attempt to tell a story devoid of clichés and recognizable stripes of commercial cinema - like off-tangent jokes put out just to milk a laugh. I guess we were at the point of an awakening (before the recession came) and there was nothing to lose in being bold and honest. This actually reminds me of the irony of privilege. In Jack Neo’s ‘Homerun’, which I honestly thought was a good attempt even though it as a ‘cover’, Jie Kun the brother and Siao Fang the little sister’s joy of getting new clean shoes was short-lived when a long of mud crossed their route home. The narrator adds that when we have nothing, we fight like things can’t get any worse. But when we’ve finally gotten it, we take a step back, worry about losing our prize and lose sight of the bigger fights. In pragmatic Singapore, this argument is only as good as it sounds in words. Almost every filmmaker has a dream to one day make a film on 35mm and screen it the same highly expensive format. The road there is long and arduous unless you’ve got beginner’s luck. You start making films on accessible digital formats and you make an extra effort to be different to make up for the lack of rich, textured visuals that actual film can give you. But when you win an award and finally get your hands on some cash to make a real ‘film’ film, you lose your bite. In a similar fashion, when money reaches the table before the ideas and the individuality, money does the talking. Do not get me wrong, I am not against money for even honest pieces of art need money for it to materialize. It’s the order of it that makes a difference. There is something in common among the director who’s been given money to make his sequel, the Mediacorp actor who has easy access to funds (due to fame) to make a movie and the film student who has free access to cranes and green screens. The sequel director gets trapped into a game of playing to his audience. The actor, who would predictable also appear in his own film knows too well how to bend over backwards for a laugh or a tear. Finally, for a student, the crane and green screen are too hard to give a miss. I do not complain about the funding schemes of the government. I feel Singapore filmmakers are actually one of the luckiest in the world especially when they are starting out thanks to the government grants. Our neighbours up north shoot in cheaper digital formats and have made award-winners out of the digital outputs. A friend of mine told me how Spike Lee made Malcolm X out of film scraps when he ran out of money. All this means is there is now no excuse to get stumped at the writer’s block or a director’s dilemma, if you’ve found your real voice. That is the voice that will make the journey in filmmaking a less bumpy one. No more million dollar questions and dilemmas. No more getting stumped at money issues even if you genuinely think you’ve got a good story. It may not be a perfect journey but there will be no better time. It is when Mary Tan realises that there are no such things as happy-ever-afters, so she decides to go back to being a free-spirited single. Written by Jeremy Sing, for Raffles Alumni, find the link here.